I’m on it for Sir Bobby – Widnes Vikings launch 2016 Magic Weekend fundraising campaign for the Sir Bobby Robson Foundation. Widnes Vikings are proud to announce that the Club will adopt the Sir Bobby Robson Foundation as its front of shirt partner for the First Utility Magic Weekend spectacular to be hosted for the second year at St James’ Park, Newcastle. 2015 saw the Vikings launch a special edition black and white striped shirt for the showpiece weekend with all profit donated to the cancer charity set up by former Newcastle United and England manager, Sir Bobby Robson – a campaign which raised over £20,000 for the Foundation. The Vikings are keen to lend their support once again as the St James’ Park Gallowgate Stand prepares to welcome Vikings supporters for the second consecutive year. Widnes will once again open the 7 fixture event as they face Salford Red Devils on Saturday May 21st, and will take to the field in a special edition shirt which will embrace the club’s traditional black and white colours with a touch of ‘toon army’ magic! The shirt will not only carry Sir Bobby’s name but will also include the names of 3,000 other supporters, which will be printed into the fabric of the shirt thanks to the ‘Tackling Cancer #ImOnIt’ campaign launched by the Vikings during the month of February. Widnes Vikings are asking for a £10 donation to be made to the Sir Bobby Robson Foundation to secure each name on the 2016 Magic Weekend jersey, and donors will also receive a confirmation certificate via email which can be shared via social media. Vikings Marketing Director Brian O’Connor commented: “Supporting the Sir Bobby Robson Foundation before and during last year’s Magic Weekend worked fantastically well. The campaign was hugely successful and supporters of both the Vikings and Newcastle United should be immensely proud of the contribution that they made to such a worthwhile cause. “The announcement that Magic Weekend was returning to the North East for a second year has allowed us to strengthen our work with Sir Bobby’s foundation, and as an organisation this is something that we are extremely excited and privileged to be a part of. “The Tacking Cancer #ImOnIt campaign gives supporters of both rugby league and football the opportunity to donate to the Foundation in the great man’s memory. A donation of £5 will also be gifted to the Foundation from the sale of each and every Widnes Vikings’ Magic Weekend replica shirt sold, with the club keen to raise even more money for the Sir Bobby Robson Foundation in 2016. The first person to donate £10 to the initiative was Newcastle United Legend, Kevin Keegan, who was thrilled to be asked to launch the campaign. Keegan was the first to receive his confirmation certificate and pose for an image to show his support for the #ImOnIt campaign. Keegan commented: “This is a great idea to raise money for a fantastic cause. I am sure that it will be embraced not only by their own rugby fans but by the people of Newcastle. Keegan even signed a prototype type shirt with the words ‘I would luv it if you raise £30,000’! Liz Luff from the Sir Bobby Robson Foundation commented: “We’re extremely pleased to be receiving support from Widnes Vikings and their wonderful fans once again. “Last year’s Magic Weekend was a fantastic event and an opportunity for rugby league fans from all over the country to experience a warm welcome in Newcastle. “Equally, for the people of the city it was a chance to enjoy what was, for many, their first rugby league game. “The support Widnes gave to the Sir Bobby Robson Foundation certainly contributed to the positive atmosphere around the event and the club was ‘adopted’ by many local sports fans. 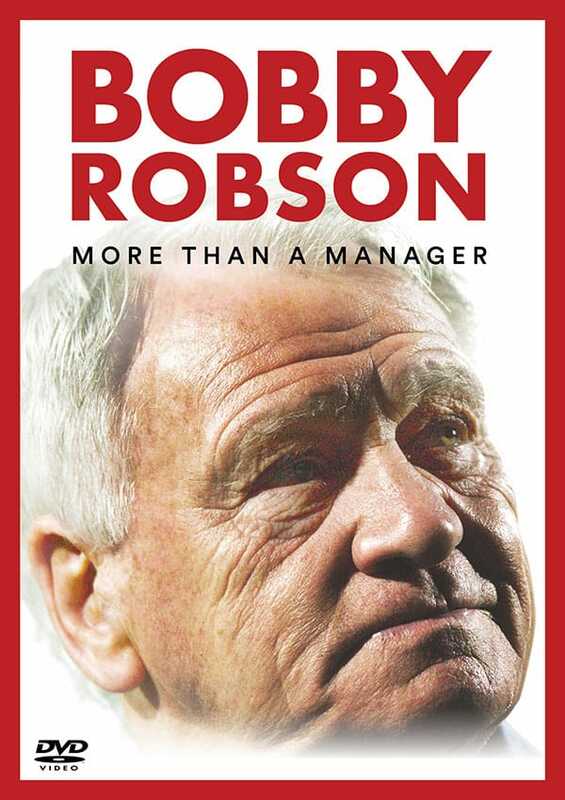 “Seeing Gallowgate awash with black and white stripes and hearing Widnes fans chanting Sir Bobby’s name was very moving. I’m sure Sir Bobby would have loved it and there were plenty of Newcastle United fans who bought a shirt and came along to support the Vikings too. More information and the link to donate to the #ImOnIt campaign can be found at widnesvikings.co.uk. This opportunity is strictly limited to the first 3,000 individuals who donate, and is on a first come first served basis. The donation portal will close February 29th 2016 or upon reaching the 3,000 donation target figure. 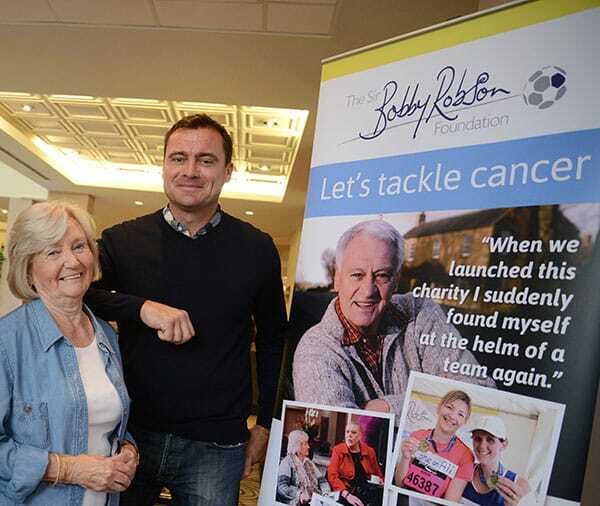 The Sir Bobby Robson Foundation funds projects, including the clinical trials of new drugs, that directly benefit patients from across the North East and Cumbria and which contribute significantly to international research into cancer.